Welcome to the registration page for our 12-Week Wass Strength Boot Camp held at Wasserman Strength in Deerfield Beach, FL! This program will be offered on multiple days during the week and you can choose the membership option below that works best for you! This strength-based training program will be run by our Certified Strength & Conditioning Specialist (CSCS), Matt Tracey. We are excited to help you reach your goals! *There will only be 4-8 clients in each session! The first session will include an evaluation (10-15 minutes) for each client! Matt Tracey is Wasserman Strength’s newest Performance Coach, focusing on our day to day on-floor training, implementing and supervising the strength training and throwing athletes! Matt received his B.S. in Health & Exercise Science at Roanoke College and is currently enrolled in Florida Atlantic University pursuing his M.S. in Exercise Science with a concentration in Strength & Conditioning. 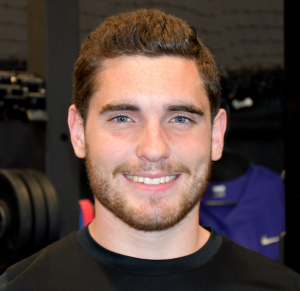 Matt is a Certified Strength & Conditioning Specialist (CSCS) through the National Strength & Conditioning Association. He has experience training adult clients and athletes of all ages, especially middle school and high school athletes in baseball, softball, soccer, lacrosse, basketball, rugby and football. He has recently been accepted into Wingate University’s Doctorate of Physical Therapy Program in North Carolina starting in January of 2020. We are happy to have him training and working with us at our Florida location! Upon registration, please send an email to support@wassermanstrength.com with the days/times that you plan to attend each week!